Primal Game Studio and Bandai Namco today announced that the MOBA inspired MMORTS game, Supernova, is now entering it’s Open Beta testing phase as it opens its doors to all members of the gaming community as they amass their armies in an effort to become the superior force and dominate the galaxy. 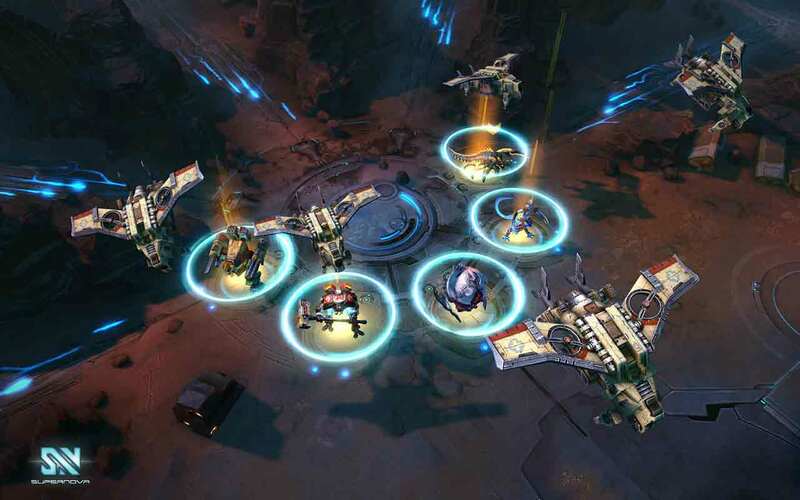 Following several successful Closed Beta tests the team have taken the feedback and continued to evolve and grow Supernova into the ultimate hybrid of popular RTS mechanics with the cut-throat competitive nature of the MOBA genre. [quote cite=”Primal Game Studio”]In Supernova, players venture into an interstellar arena where they must fight as commanders or aliens in order to save their species from extinction. The brilliant graphics, unparalleled galactic worlds, exciting combat and the slew of characters give Supernova a refreshing take on the MOBA genre. Players also have the power to control what minions — known as forces — push down the lane towards victory, meaning the player is in total control of what they want to send crashing into the enemy.